Court Update: Possible Felony Charges Against WSLCB Board Members? (Olympia, WA) After finding 17 violations of the Open Public Meetings Act (OPMA) on Oct. 31st, the Thurston County Superior Court went after the Washington State Liquor Control Board (WSLCB) twice this week, first on Tuesday denying their motion to dismiss the OPMA knowledge claims for civil penalties, based upon the newly disclosed records that I reviewed and filed on the 10th. The Court also started talking about individual “Mens Rea” of the LCB Board members, a legal term used exclusively in criminal prosecutions that literally means, “guilty mind”. It appears the court has become distressed at all of the lying and wants to fry someone now. Having the judge seek to establish “mens rea” is never a good thing and does not happen in a normal civil case. On Friday, there was an opinion announced in a 20 minute long statement by the court. The Court ruled that the LCB withheld records from the I-502 Rulemaking File and that they should all be disclosed. This is bad for the rules because it undermines the legitimacy of the rules, and bad for the LCB because they altered the file to attempt to remove the disputed records rather than disclose them. Now, not only have they violated the Puplic Records Act (PRA), they have also altered and concealed official public records in violation of RCW 10.14, which is technically a felony if anyone in law enforcement would ever charge a violation. Even so it is very embarrassing for them and the poor Assistant Attorney General Bruce Turcott looked like someone had just sodomized his puppy. With over 500 penalty days and a criminal offense I am just dying to brief on appeal, they simply cannot risk what the Court of Appeals would do, even without the I-502 rule repercussions. I am anticipating a penalty of 15-40 thousand, plus a real problem for them with the altered rule making file. How can you review an altered file and a record of a bunch of unrecorded secret meetings? (OLYMPIA, WA) The Washington State liquor Control Board violated the Open Public Meetings Act 17 times between January and March of 2014, a Thurston County Superior Court Judge ruled on Friday, October 31st. The meetings were “private” stakeholder meetings with law enforcement, the prevention community, and city and county officials that a quorum of the LCB commissioners attended to obtain input on the proposed I-502 rules. They were scheduled separately during the daytime in the same areas that the Commission held 7 public forums on I-502 implementation in the evenings. The Court declined to invalidate the rules despite evidence of testimony by LCB’s Rick Garza before the Legislature that a lot of the work on the rules was done in the daytime meetings. The plaintiff, Arthur West (420leaks contributor), had maintained that the many secret meetings seriously undercut the validity of the I-502 rules. A second hearing is set for the 18th of November on the issue of whether the violations were deliberate, and whether the Board Members will be subject to civil penalties. Fines would be $100 for each of the 17 violations. Here is the ruling, (Liquor Control Board OPMA Ruling) The part about the violations is handwritten in on the bottom of page 2. Also attached is some background on one typical law enforcement meeting, a list of the prevention meetings, and a prevention meeting agenda. The contents of some reveals more than just secret meetings. The first shows WASAVP (Washington Association for Substance Abuse and Violence Prevention) and NW HIDTA (Northwest High Intensity Drug Trafficking Area) members (and the Washington State Patrol) “openly” conspiring to Kill the medical cannabis laws in the state! Two of the many records of OPMA advice to the board are also attached, with redactions, as well as a brief with some background, and a second order stating that the Rules of professional conduct ensure that they won’t lie about the contents of the redacted OPMA advice. The State is withholding the advice on the OPMA provided to the LCB while attempting to argue that the Board members lacked knowledge that the 17 meetings with law enforcement, cities and counties, and the prevention community were not public meetings. On at least Eight dates the LCB Board met to deliberate on official LCB business outside of the context of a public meeting. The Board or a quorum thereof conducted deliberations in Spokane on February 11 (2:45-3:45 with the Chase Youth Commission, and on February 12 (10:00-11:00 with law enforcement, 11:00-12:00 with Prevention community, 2:00-4:00 with Spokane City Council) and February 13 at Northwest Medical. These meetings were held all across the State in various locations during the morning and afternoons prior to the scheduled “public hearings” that the LCB held for the implementation of I-502. However, while the nocturnal public hearings provided cover for the LCB Board to travel all across the State, what they were in actuality doing was meeting in private with Cities, Counties, Law enforcement and entities referred to as “The prevention community”. Significantly, in testimony to the Legislature, LCB representatives revealed that the private meetings provided some of the best information that the Board used to adopt the proposed I-502 rules. Is I-502 a trick or treat for voters and patients? As people across state of Washington celebrate Halloween, we would like to take time to reflect on I-502. Has it been a trick or a treat for voters, taxpayers and medical patients since the initiative passed in 2012? With more than 40% of the state’s cities banning the businesses, it looks like the voters in those areas without stores have been tricked. However, consumers in areas that have allowed stores to open have also been tricked into paying huge prices on miniscule amounts of product. While cannabis prices have remained at a steady average of $10 per gram in both the medical and black market since like 1985, it’s at least double that, if not more, in the I-502 stores. Quality is suspect, as is consistency. For now, the campaign promise of reducing the black market have been a trick. Have promises by the main sponsors been fulfilled? Tax revenue from I-502 was promised to be in the hundreds of millions. Stores were opened earlier this summer and as of early October, the total amount to the state was $3.5 Million. Nowhere near the projected amount. So what are the positive things about I-502? Some jurisdictions have seen a decrease in marijuana arrests. It hasn’t stopped the racial profiling, as Seattle found out when a single officer accounted for the vast majority of tickets handed out to mainly people of color for “public display”. About the only other thing we can think of is it has helped spark new conversations at the national level. And that has been a treat since now more states are now jumping on the bandwagon. Sponsors of the initiative said this would happen if passed, even if the language was flawed. And they readily admitted the flaws. The mantra became, “pass it now, fix it later”. That was nothing more than a trick as nothing has been done to fix it is since it passed. They knew the taxes were too high. Once it passed, the sponsors disappeared into the night like kid who got his candy and is off to the next handout down the road. More importantly, They knew it would threaten he rights of medical patients, even though they claimed publicly it would be a treat for us. In fact, the patients were told to roll over and die and take one for the team. Since passing, law enforcement and the legislators, with the help of the media, have launched an all out assault to completely discredit and dismantle nearly everything in our medical cannabis laws. They blame the medical community for undermining the recreational stores by selling cannabis at $10 per gram. A neat trick to avoid the obvious: an overtaxed and over regulated I-502 model will never be able to beat that price. Especially when the IRS adds in their take. They say most of the patients are fake, claiming upwards of 90% don’t have qualifying conditions in spite of the glaring fact that not a single credible shred of evidence has ever been submitted to back up this claim. With all this trickery going on, perhaps the most obvious glaring hole in the entire plan has been the use of the term “legal”. While the complaints about medical undermining recreational, this has been a trick to convince people that I-502 is somehow more legal in the eyes of the federal government. Well, the trick is, they are no more legal in the eyes of federal law than they were before I-502 was passed. When the feds released their guidelines for state regarding cannabis regulations (remember the Cole Memo? ), the last paragraph was largely ignored: Cannabis is illegal and we will come after you at any time and you have zero defense against us doing so. It is well past time in the state for patients to start being treated with dignity and compassion. Not tricked into giving up hard won rights to use cannabis to treat our medical conditions. 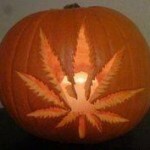 Both the state and federal government must end this trick or treat politics on cannabis. By the way, did you know the federal government owns patents on the medical use of cannabis and has been sending out tins filled with joints to a small group of patients?